Western Ontario Rally in Drumbo, Ontario. Photo by Laura DeKlein, Youth Delegate to Jersey Ontario Board of Directors. Dairy producers are required to make informed decisions about their operations day in and day out, and Lely North America strives to provide the total solutions package that many of those farmers rely on as they work to create a sustainable future in the dairy industry. After more than 25 years as a leader in dairy innovation in North America, we understand that in order to improve the future of farmers there has to be a concentrated effort to educate our youth. That’s why we were excited to learn that multiple Lely Centers, including Grand River Robotics, Lely Center Woodstock, Avonbank Ag Solutions, Snoddon Claire Farm Equipment and Dundas Agri Systems, were all interested in providing a sponsorship of the 2018 Jersey Ontario Youth Rallies. 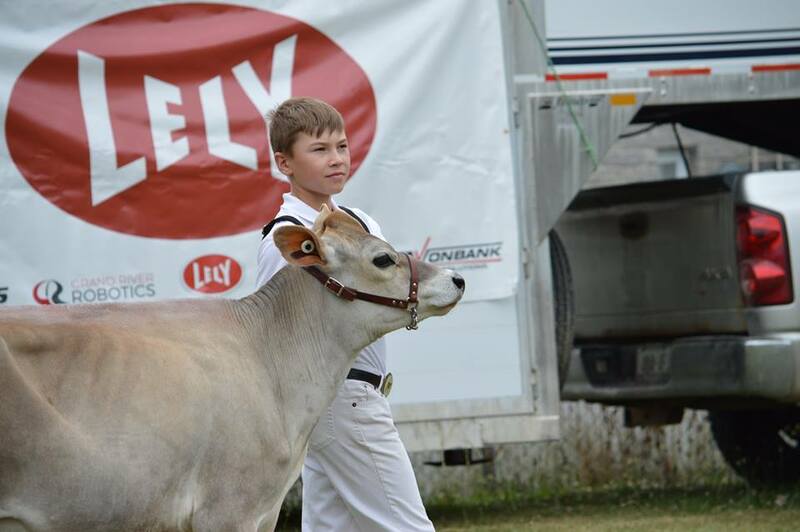 With the sponsorship provided by these Lely Centers, Jersey Rallies was able to put on three Jersey Rallies in Ontario that more than 100 young Jersey enthusiasts were able to participate in. The Rallies were further supported by more than 300 parents, family members and friends who were also attending. Eastern Rally in Russell, Ontario. Photo by Ian Porteous, Jersey Ontario Member. Over-production has caused many nations around the globe to feel strain in the dairy sector, which is one reason these Lely Centers all wanted to be involved with the Jersey Rallies. Moving forward, continued support for youth dairy initiatives and all breeds will be vital to ensure a bright future for the dairy industry.